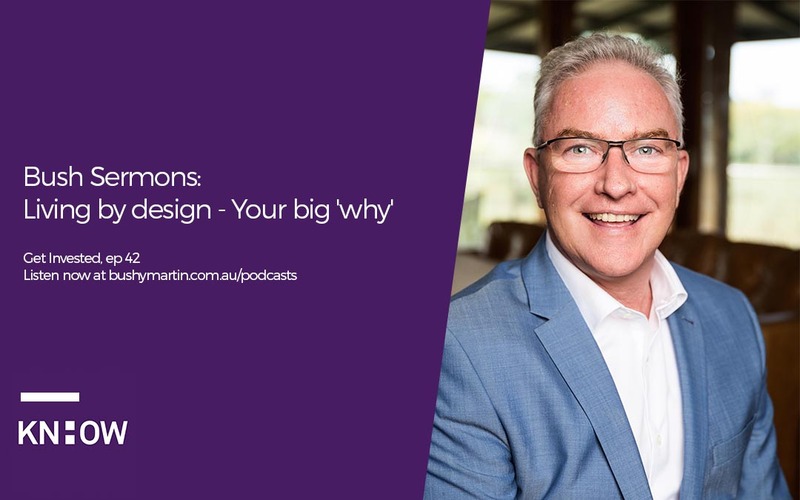 Welcome to the first of two special Get Invested living by design ‘mini-sodes’ to round out the year and kick off the new year with purpose and focus. In this episode, Bushy Martin reveals his simple process to help you review your year and track your progress towards achieving freedom, however you define it. Remember: As Bushy says in this episode, write down your perfect day and email it to him: hello@khgroup.com.au. We’ll then send you a first edition, signed copy of Bushy’s next book, ‘Get Invested’, as soon as it is published in 2019. Listen to Living By Design (Part 2) here.